This is a corset based on the Cored Square Knot and my love of Harley Quinn! This takes a quite a while to create, but once tied, this corset can be taken off and put back on! You can find this and many more tutorials for free on www.theduchy.com, where you will find detailed step-by-step instructions with pictures in addition to the video. We all learn differently, so pick your preference! I'd love to hear your comments! Supportive or constructive, it's all good! I try to create and post new tutorials every couple of weeks or so, so check out www.theduchy.com! 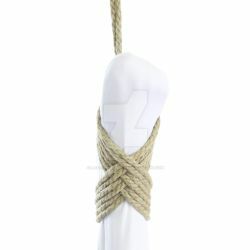 I am an artist and educator, helping people discover the wonder and passion of rope!